There’s still a few more years we’re trying to hunt down the champions for. If you can fill in any of the missing years, let me know. The complete list is here. 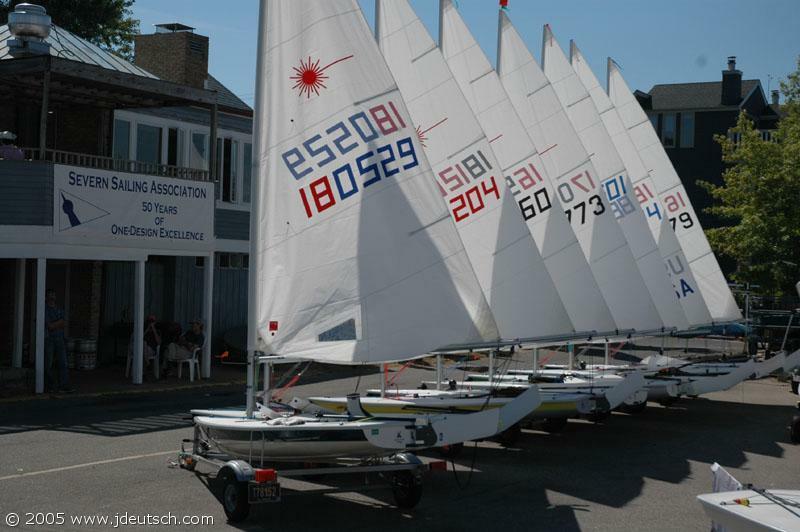 Severn Sailing Association will be the host of the 2012 District 11 Championship on September 22-23. SSA is undergoing a major renovation to their clubhouse and this will be an excellent opportunity for Laser sailors to check out the new digs! Read more about the construction of the photo and check out more pictures of it here. Photographer Stephen Boling was at the District 11 Championship Regatta at FBYC a couple weeks ago and has posted his photos from Sunday. Check them out and if you see any you like, please make a purchase.